Ok, so it’s Thanksgiving. It seems like the right time to introduce myself in the written word via a new column called “From The Horse’s Mouth”. I thought about calling it “From The Horse’s @$$”, but it will require a special topic for me to title a column as such. And I’m not above it. But why start writing now? Because I have this attitude of gratitude and bet that you feel it too. If so, then we’ve got a common ground and can build from there. My name is Paul, and I’m the proprietor, editor-in-chief, sales guy, and trash hauler of 360Durango. Nice to meet you. I hope you have a pleasant Thanksgiving wherever you are, however you spend it. As a transplant from Fort Myers, Florida back in 2008, I’ve had a few community meals and spent one or two Thanksgivings alone with my dog. This year I’m the one responsible for the drinks for a group of 17. Bring it on! I recently had the pleasant experience of sitting on a plane next to a history teacher from a local middle school. He was on the final leg of a flight from Beijing where he received continuing education for his role as a teacher. The focus and commitment of the Chinese students he interacted with made for a favorable impression. The role of the Chinese government in everyday life had a different effect on him, however. He noticed surveillance cameras and troops seemingly everywhere and lamented how their system dictates the futures of these students. There is a big fork in the road coming for each of these students, a life-changing inflection point: pass the big exam at the end of high school and progress to the university or receive a government-assigned job if you fail. Could you imagine? What if you had a flu that day? The mysterious gut bug? Here in America we still have more opportunity to determine our future than anywhere else on the planet. We still have the opportunity to be rewarded in equal measure to our efforts, persistence, and sheer determination to make something of ourselves. Our society provides more upward social class mobility than any other. We have the opportunity to rise from the ashes of our own failures. Have you ever tried something and failed? Did you not learn from that experience? Has there ever been a better teacher than your own mistakes? I’m relieved that we have the freedom to make mistakes and come back from them. Sometimes our mistakes are unintentional, sometimes they’re deliberate actions that didn’t work out the way we thought they would. Much of my gratitude this year is to all of the folks who have been merciful and forgiving towards me as I continue to progress out of making a costly pivot in our business model. I believe that our change in direction will produce dividends for our stakeholders - the local public at large, our clients, our vendors, our creditors, our team, and our investors - for many years to come. So to all of you sticking with me and by me, thank you. You know who you are. If anyone tells you they aren’t having a hard time with something right now, they’re either lying, keeping things private, or in denial. Without going into detail, I’m grateful for the difficulties experienced by starting a company from scratch. These hardships and resulting survival have produced in me improved character and habits. I hope you look upon your hardships with such joy. My new friend, the middle school history teacher, observed that our country appears to be more divided than any period other than the Civil War. I suggested the 1960s as a possibly more divisive time than now, but neither of us were alive then and don’t have perspective other than what our parents and the history books tell us. But I think that we could all agree that the vitriol coming out of the national news media and politics in general has become annoying. I guess I don’t see the need for the hostility. It makes me wonder who and what is behind it because it seems to be coming from both sides of the political aisle and I don’t think it’s helping. Would you agree with that? Healthy debate in public forums are critical to our society. The freedom to do so without judgement or adverse consequences is a foundational concept of our nation. The ability to disagree and move forward is important. Healthy relationships and communities are about coming together, not tearing each other down because we have different opinions or preferences. To each his or her own! You do you! I’m thankful for people who are like me in the specific sense that they don’t judge me for my opinions or preferences … and when we talk about our differences we can agree to disagree like responsible adults and move on to other stuff. You know, that five-letter-word called l-i-v-i-n. And being friends who sharpen one another because of our differences. This election season I had the privilege of working with people and organizations in trying to get out the vote. We were a ragtag bunch in a way, unaffiliated with each other by any ideological premise or political party other than understanding the need for people to do their duty in being an informed voter. The neat thing? I know for a fact that many of the people I collaborated with think differently about their politics than I do. But the beauty of it is that we all share relationships with each other based on common ground - some of which are the commonalities surrounding the prosperity of local businesses and their employees. And I’m not just talking about monetary prosperity. What does prosperity mean to you? To me it’s a more well-rounded concept than simply financial abundance. It’s overflowing measures of emotional, relational, financial, physical, and spiritual peace. I’m blessed to have a strong family back in Florida. I’ve made a strong group of friends out in Colorado. Emotionally and spiritually I feel good. Physically I haven’t seen a doctor in 15 years. And I feel like 2019 is bringing more upside potential in my business than any of the previous eight. So wherever you find yourself while reading this article, thank you for taking the time to indulge. 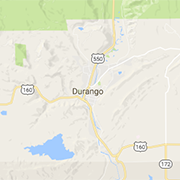 And thanks for coming back again to visit our website about LIVIN' in Durango. Until next time, keep your shenanigans cheeky and fun.